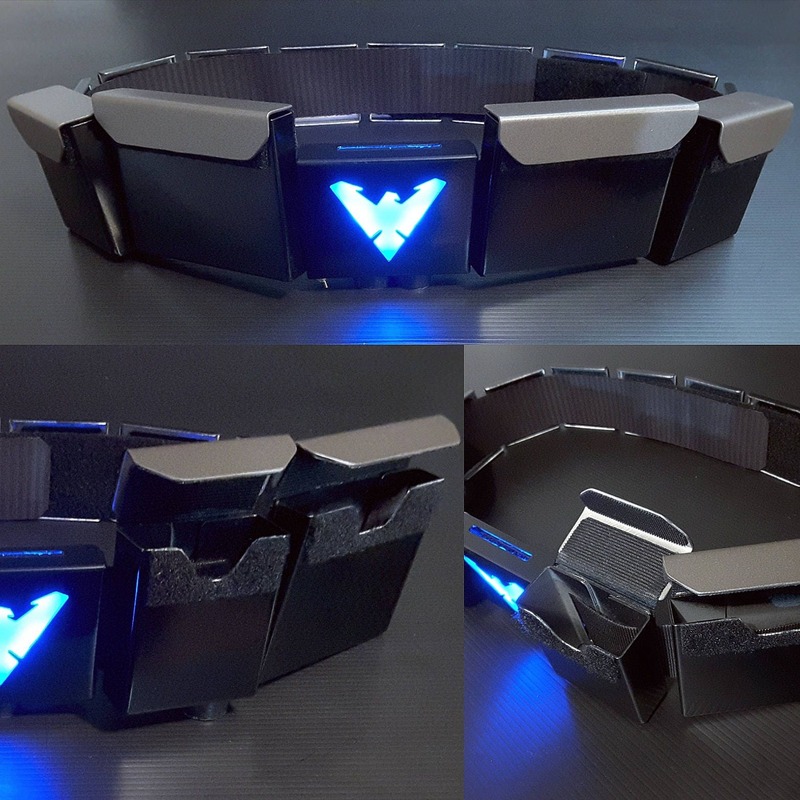 Nightwing utility belt with custom shurikens and glowing LED belt buckle. 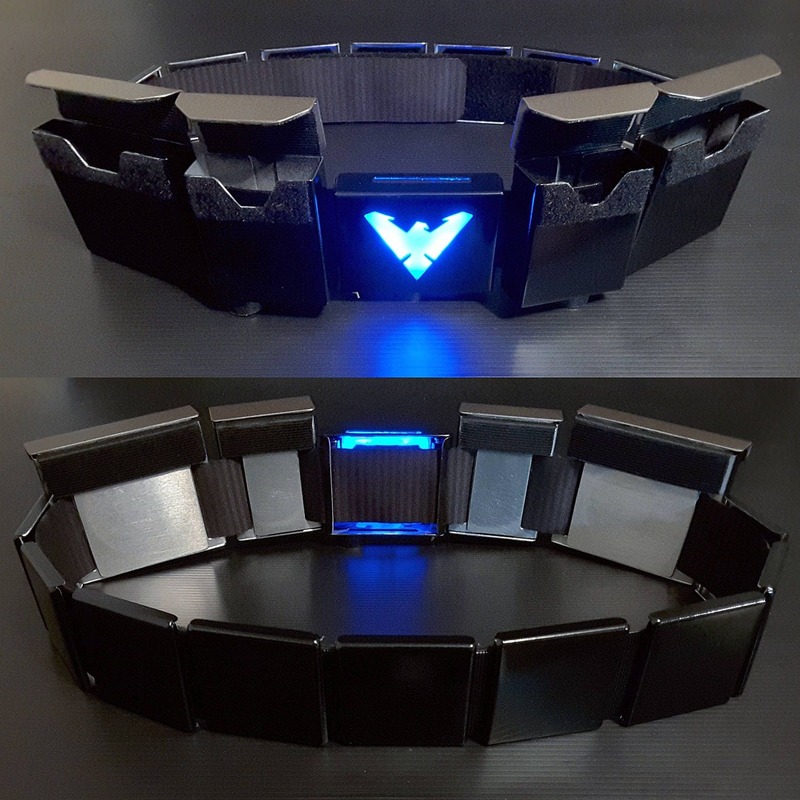 Fully adjustable 2 inch wide velcro base allows for modular design. Move or replace panels and add new compartments, comes with standard compartments shown. The large compartments are designed to fit the shurikens. Super durable complete aluminum construction with high quality gun metal grey and black finish. Glowing buckle light takes two AAA batteries. LED’s are diffused behind a thick 1/4 inch blue filter that looks even better in real life. Fits any waist size from 40 down. 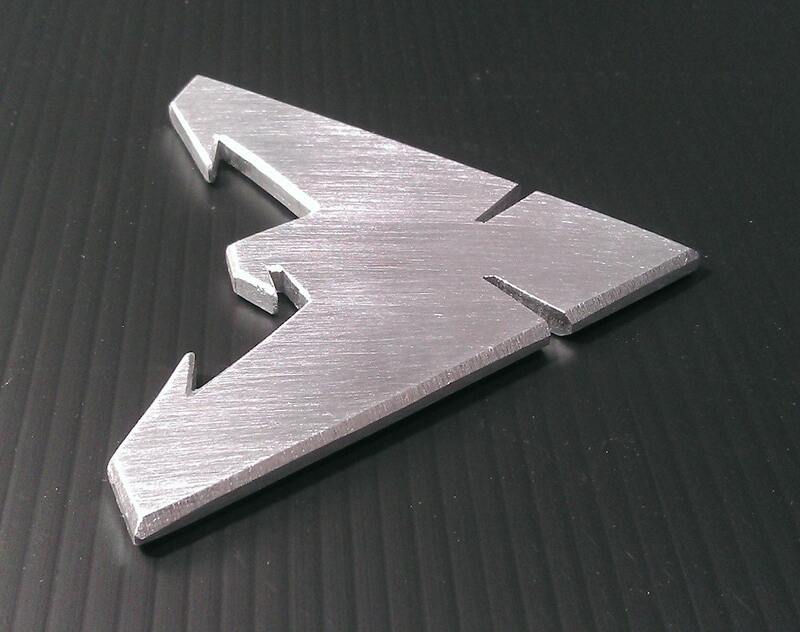 Shurikens are 4 inches wide and 3/16 inch thick. Choose how many you would like included, or choose the "include no shurikens" option. Standard construction is 6061-T6 aluminum (a moderately high strength aluminum alloy). 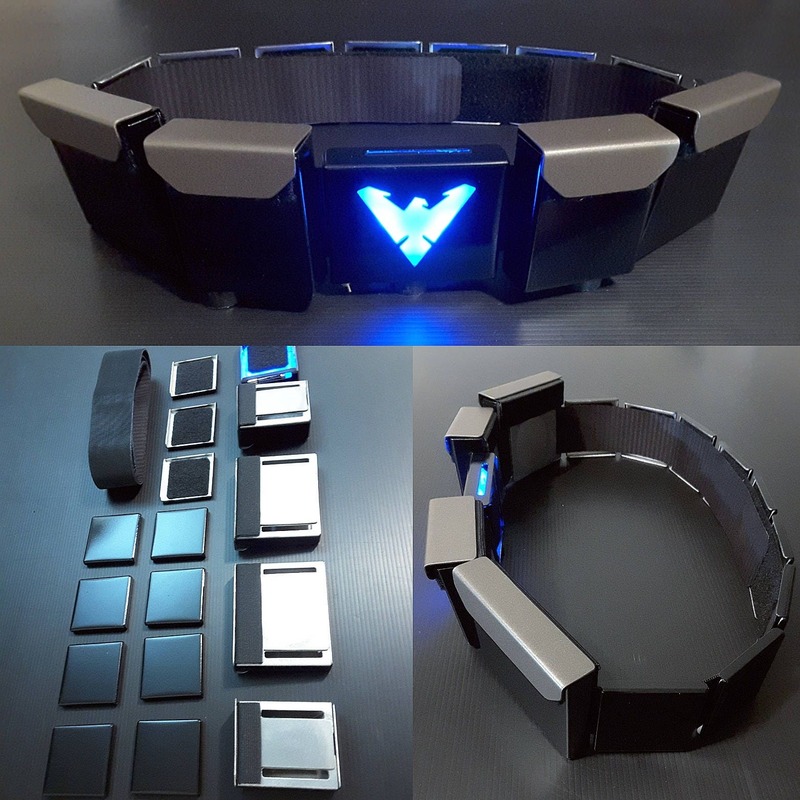 Endless variety of custom designs available, contact us for your own personalized utility belt. 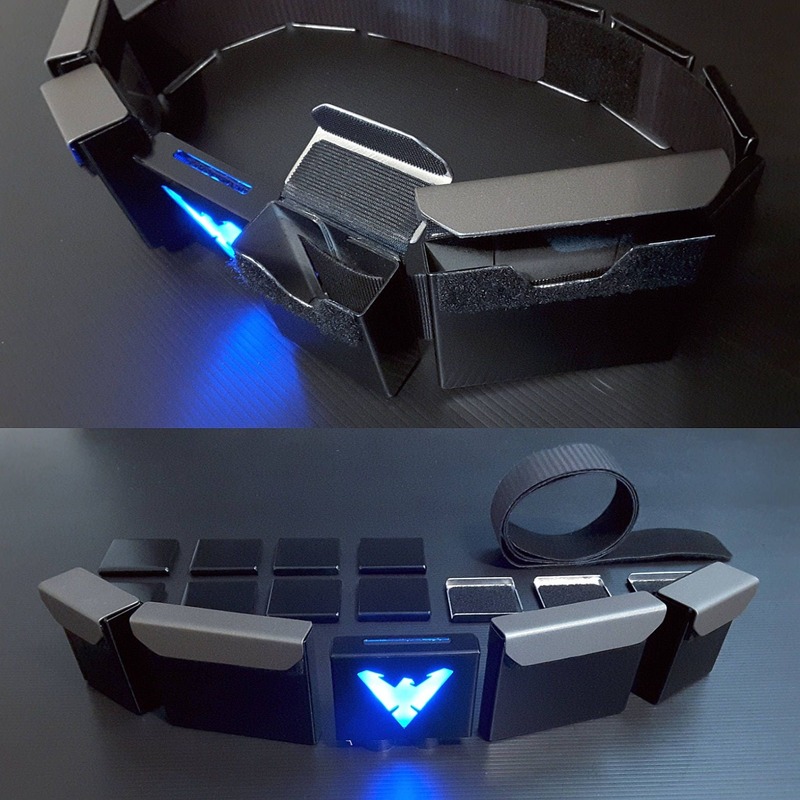 Choose compartment size, color scheme, shuriken design, and glowing center buckle symbol. Most custom designs will not cost any extra. Standard construction time is 1-2 weeks, multiple delivery options available by request.